The above poem is about an abandoned snail shell like the ones might find in a suburban garden. The poem uses a cryptic sequence to unveil a scene, which reminds me of 118A Creighton Avenue, a poem which dates from a few years back. I’ll leave it up to you to transpose your own metaphorical loading onto the scene, i.e. if you wish to read something analogous and ‘deep’ into the sequence by all means. If not, that’s okay, too. I’ve posted recently about other garden creatures in “The Visit” (a short story) and “Do Not Slight the Earthworm” (another poem). I also tweet my observations about the minutiae of life as @BeadedQuill. And BeadedQuill is on Facebook. 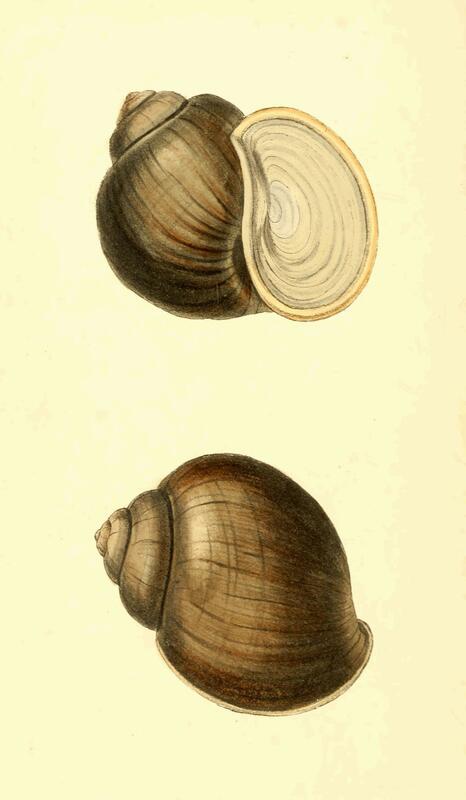 Illustration courtesy of “Zoological Illustrations Volume III Plate 120” by William Swainson, F.R.S., F.L.S. – Zoological Illustrations, Volume III.. Licensed under Public domain via Wikimedia Commons.